Timothy E. Kaldas is a non-resident fellow at TIMEP focusing on political analysis. His research interests include transitional politics in Egypt, regime survival strategies, and US-Egyptian relations. 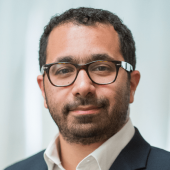 Beyond Egypt, his research examines the social and political history of sectarianism in Iraq, US policy towards the Arab-Israeli conflict, and discrimination against Muslim Europeans, particularly in France. Mr. Kaldas is a visiting professor at Nile University in Cairo. His commentary and analysis has been featured on CNN, France 24, BBC World, Radio France International, Al Jazeera English, and Mada Masr. He was a contributing photographer for “The Road to Tahrir,” a photobook documenting the early days of the Egyptian uprising in 2011, and he contributed a chapter to Looming Shadows: Migration and Integration at a Time of Upheaval on the politics and history surrounding discrimination against French Muslim citizens. Mr. Kaldas holds an MA in Arab Studies from Georgetown University’s School of Foreign Service. The real source of Egypt’s dollar crisis is scarcity. Devaluation isn’t enough.